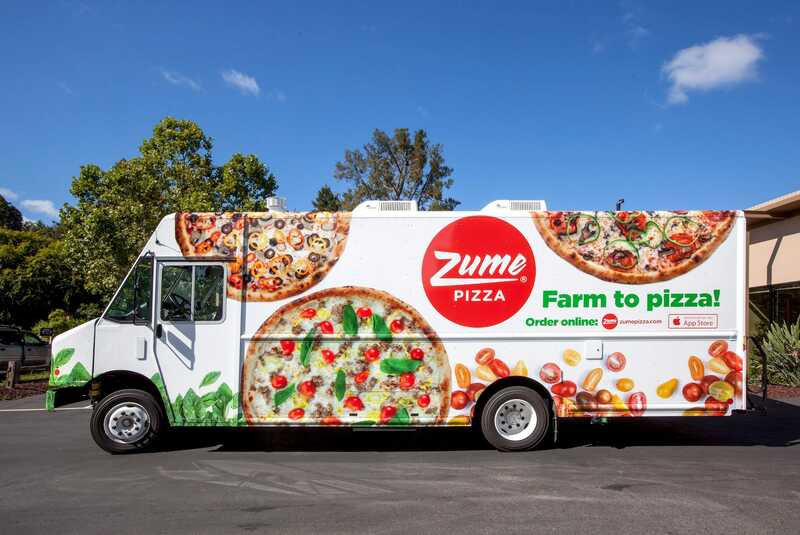 Melia RobinsonWe tried Zume Pizza to see if the pizza is as good as its tech. 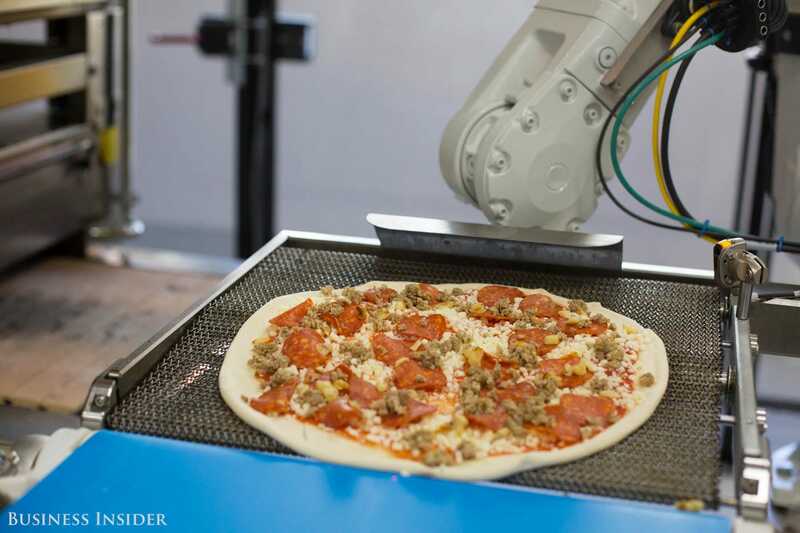 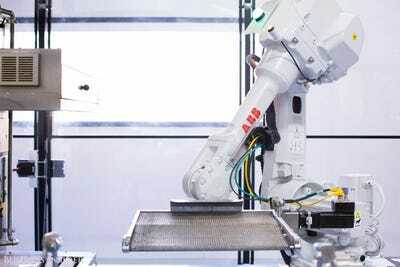 Robots could kill off jobs in the future – but at least they come bearing pizza. 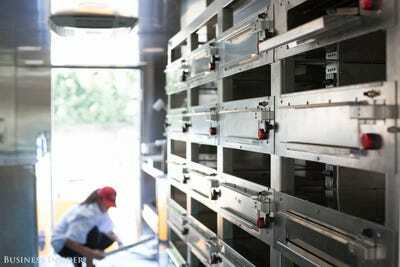 Now SoftBank is in talks to invest up to $US750 million in Zume,Bloomberg reports. The cash infusion could help ramp up the pizza delivery company’s side hustle, creating technology for other restaurants that want to get into the automated food truck game. 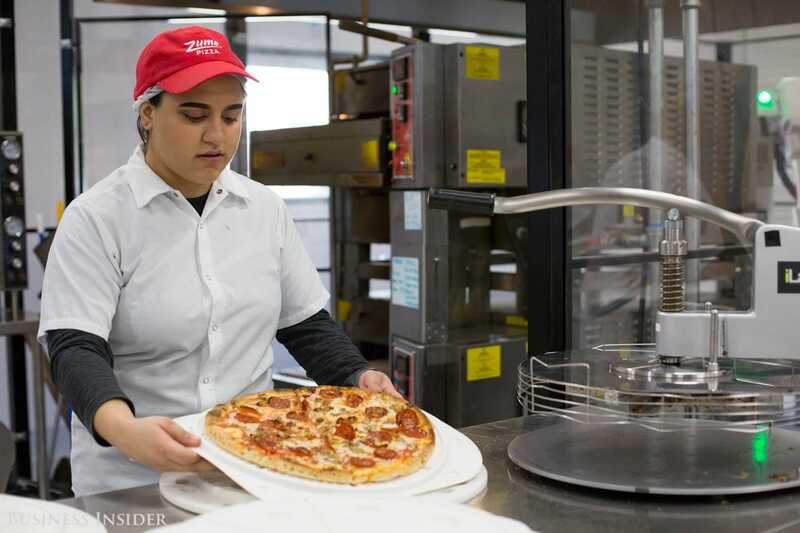 An increasing number of pizza eaters are ditching legacy brands like Domino’s and Pizza Hut for newer fast-casual and delivery chains. In 2016, Business Insider toured Zume’s headquarters in Mountain View, California, to see if the pizza is as good as its tech. Collins graduated from Stanford Business School, worked as an analyst under Shake Shack founder Danny Meyer, and helped launch New York City fast-casual chain Mexicue. She knew pumping pies full of chemical adulterants wasn’t the answer — tech was. 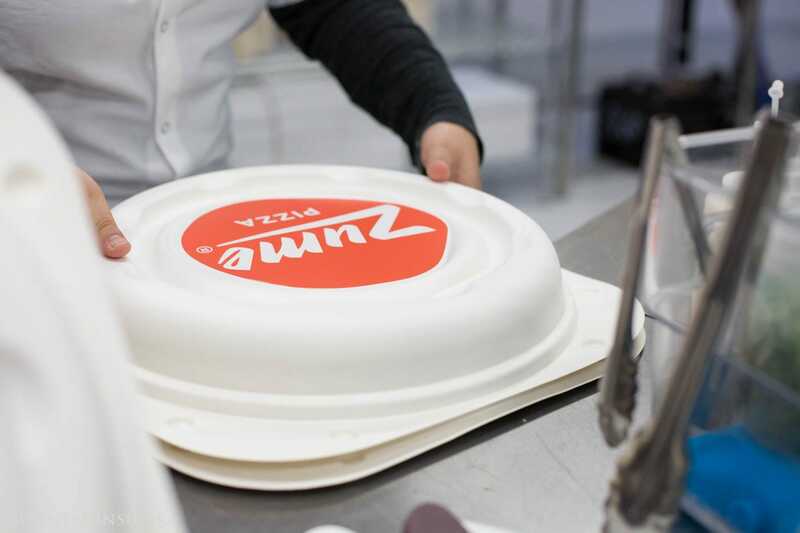 By automating the kitchen, the Zume team can fill orders quickly and accurately, and reduce delivery times to five to 20 minutes. There’s no front of house, just delivery. 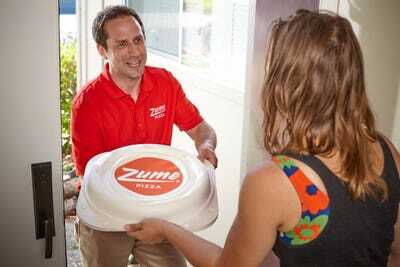 Customers order their pizzas online or using the Zume Pizza mobile app. 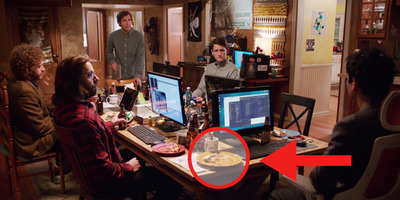 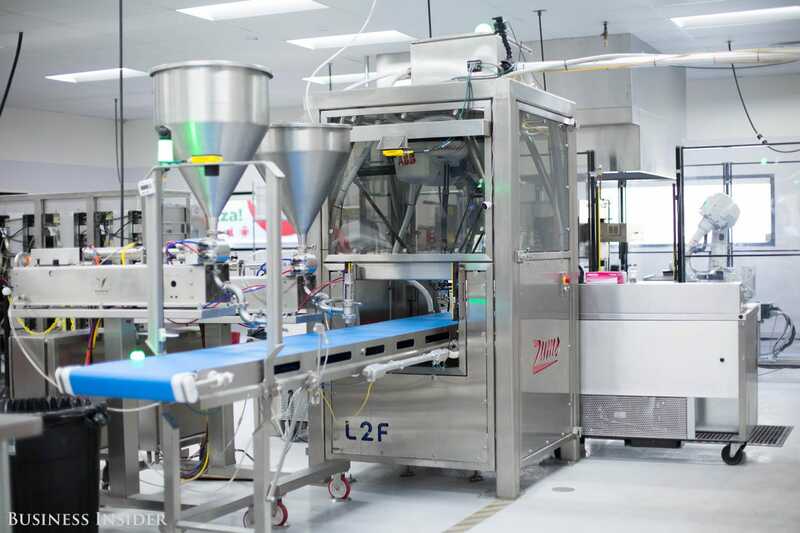 A software algorithm sends the instructions to Zume’s automated, pizza-making conveyor belt. 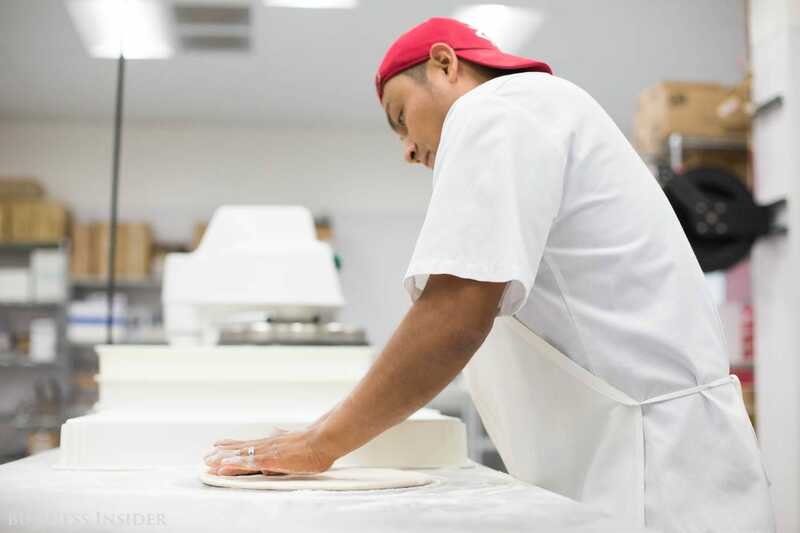 When we visited in 2016, a human stretched and shaped the dough. 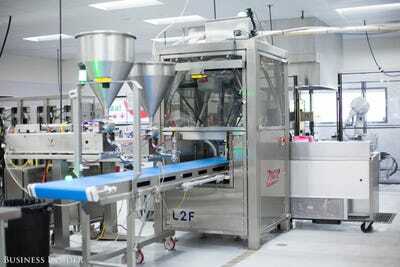 That’s no longer necessary, according to the company. 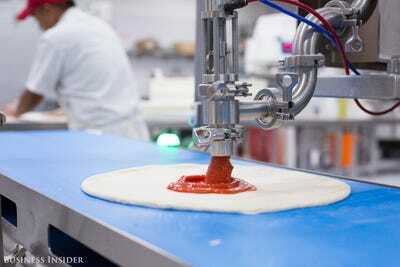 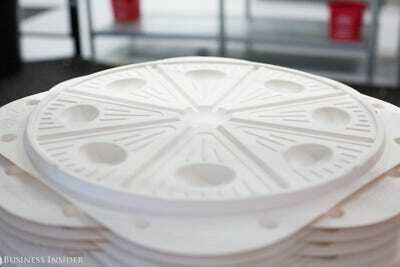 The Doughbot can press any ball of dough into a pizza crust in nine seconds. The pizza crust slides down the conveyor belt and lands under one of two sauce dispensers, named Giorgio and Pepe. 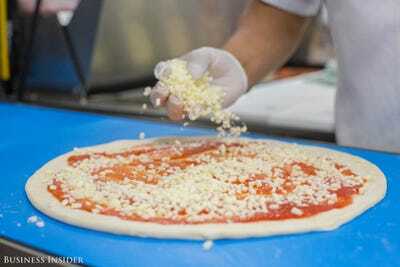 They release different amounts of sauce based on the customer’s order. 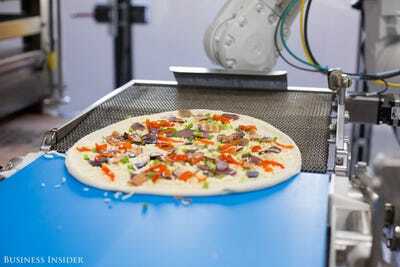 A human dresses the pie with cheeses and toppings. 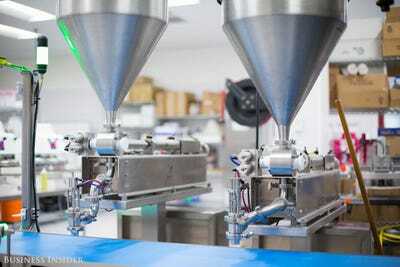 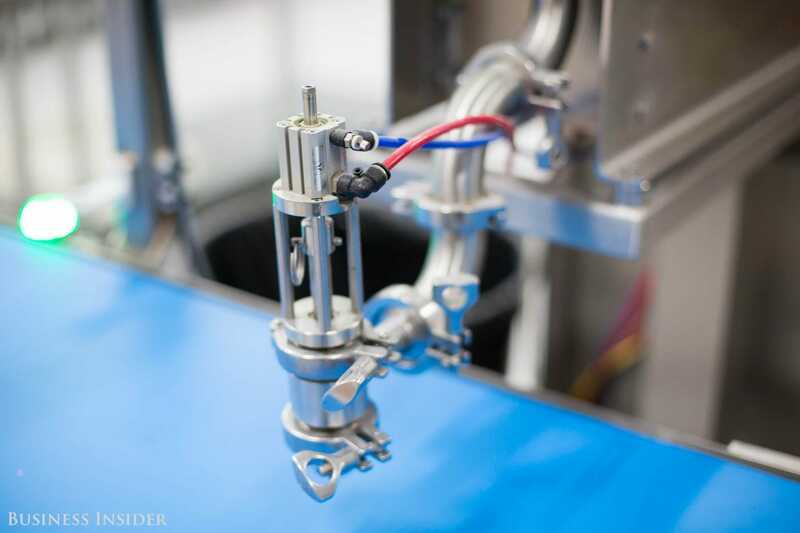 It’s a difficult part of the process to automate because toppings come in different weights, sizes, and textures. 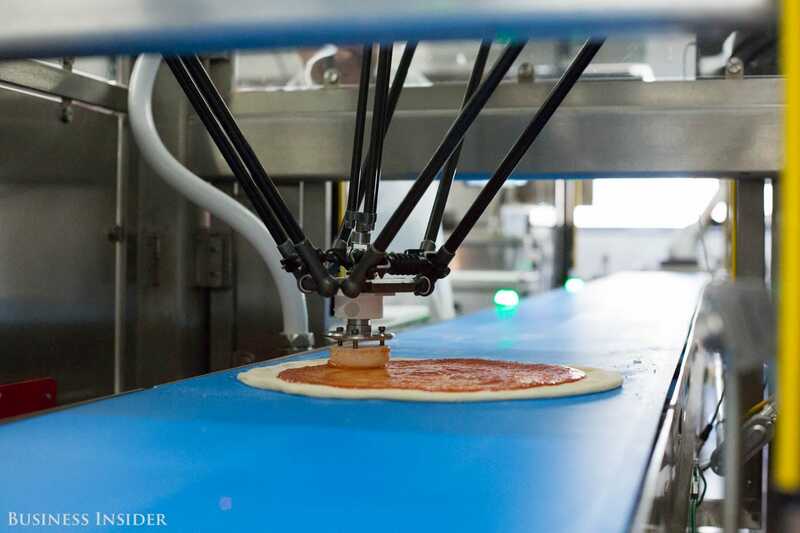 A human slides the pizza into Zume’s proprietary, self-cleaning pizza slicer, which crops the pie into eight perfectly proportioned slices. 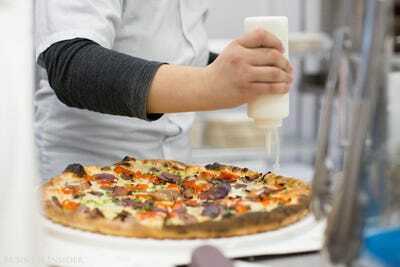 Each 14-inch pizza costs between $US10 and $US20, including delivery. 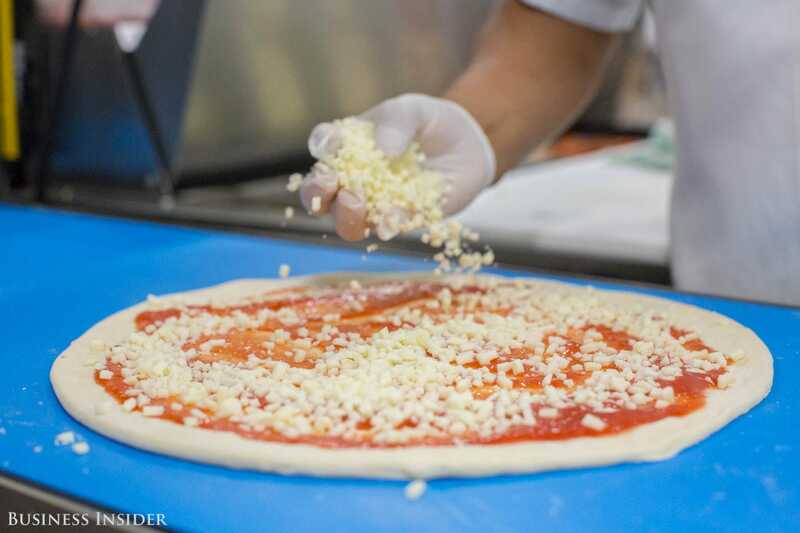 By comparison, a large cheese pizza from Domino’s, which also stretches 14 inches, starts at $US15.99 and the price goes up with toppings. 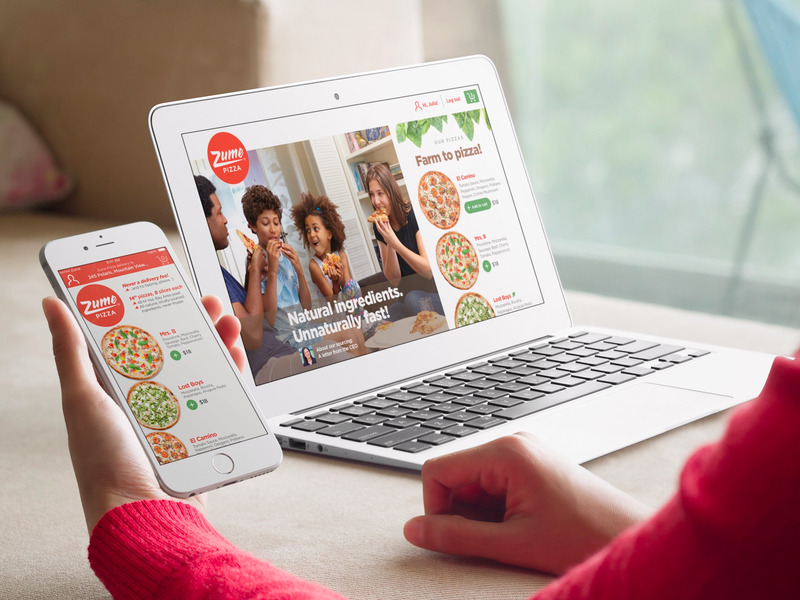 Domino’s adds a delivery fee up to $US3 and encourages tipping. 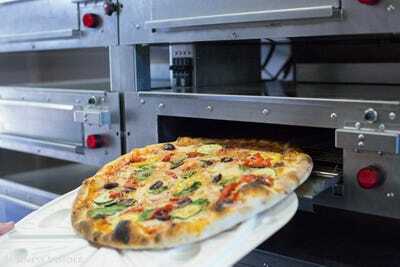 A human packages the order in an untraditional pizza delivery box, made from sustainably farmed sugarcane fibre, which is recyclable and compostable. The bottom of the container has sloped ridges and a recess in the center that force liquids to pool where they won’t touch pizza and make it soggy in transit. Zume has collected so much customer data since launch, it can “predict what pizza you want before you even order it,” Collins said. According to the company’s predicative analytics, people tend to order pizza on the weekday around the same time and have it delivered to the same location. 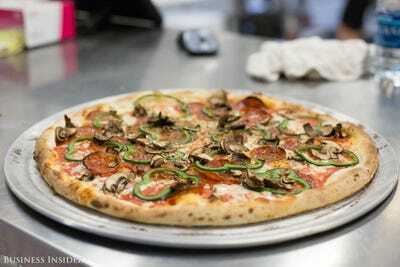 I couldn’t leave Zume without trying the pizza. I went with the popular El Camino, which includes mozzarella, pepperoni, cremini mushrooms, and poblano peppers. It costs $US15. The crust is thin, even by East Coast standards. 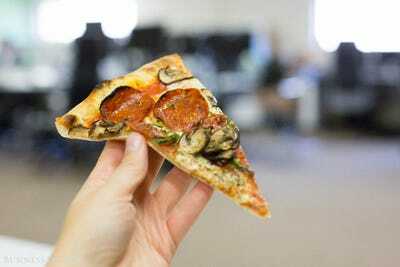 I was disappointed by the way the slice flopped under its own weight. 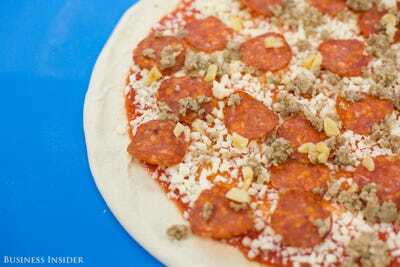 The dough’s flavour disappeared under the toppings. 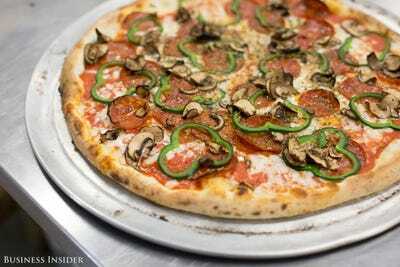 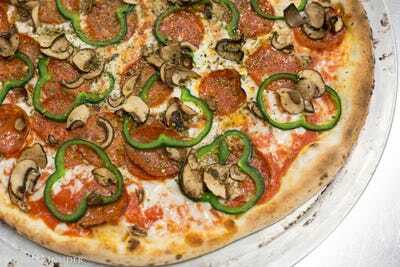 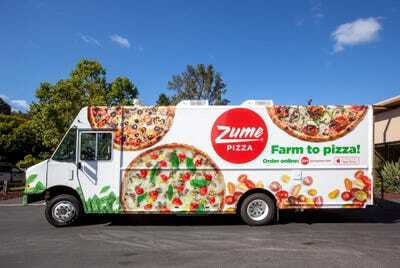 The recipe wasn’t perfect, but quality pizza that’s delivered in under 20 minutes — and costs less than Domino’s — could make Zume a worthy competitor in the pizza arena.